Escaping from bullies and plagued by terrible nightmares in rural Wales, Lis London is attempting to rebuild her life and just get through Secondary school in one piece. Her new home in Hollow Pike may be super creepy but at least this is a fresh start for her...or so she thought. After aggravating the school's mean girl and befriending a trio of gothic misfits, Lis' life seems to spiral out of control. When a seemingly innocent prank ends up with blood on her hands and the night terrors are just getting worse. Lis soon finds herself living inside a real life folk tale. One with witches, ancient rituals and whispers in the dark woods. 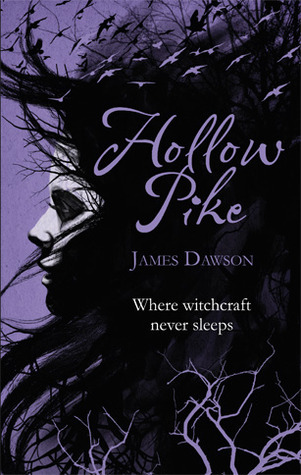 As always James Dawson has managed to give us a YA novel that weaves in both the creepy, thriller genre with the added reality and generous helping of major teen drama. Hollow Pike was like a brilliant mix of Mean Girls and Charmed - just imagine the Plastics as a Coven and you get the idea. The situations that Lis gets herself into can be pretty chilling, but it's actually the everyday terrors that are more frightening in the form of the class tormentor, Laura - seriously though what is her problem? She could give Regina George a run for her money at times. The 'weirdos', Kitty, Delilah and Jack are a nice respite and - unsurprisingly - aren't as weird as everyone makes out to be and their friendship with Lis was actually great to read. I find it incredibly rare to find a novel that incorporates witchcraft without it being overly cheesy on the ancient spells and magical elements. Hollow Pike's supernatural plot lines are much more rooted in traditional paganism that your a-typical witches on a broomstick stereotype and I'd love to see a sequel to this with a bit more development on the paranormal world. Definitely recommend this as a perfect read on the lead up to Halloween at the end of this month! 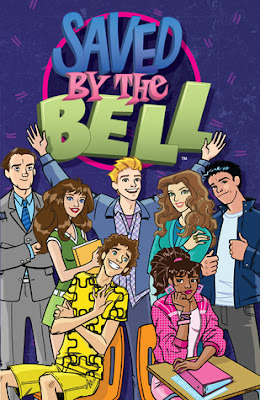 As soon as I heard that there was going to be a graphic novel adaptation of Saved By The Bell I knew I had to get my hands on it! Like many people around my age I grew up watching the TV show (which debuted the year I was born), and in more recent times have found myself laughing along at all of the craziness as podcaster April Richardson discusses the show with guests on the amazing Go Bayside!. One of the big differences from the TV show is that the graphic novel brings the characters we know and love into the modern day. This version sees Lisa as a vlogger, Kelly auditioning for an X-Factor style talent show, a Bayside High dating website and Screech's robot Kevin as a super computer who can do pretty much anything! At the heart of the story though are those same characters, just as I remember them from the show. There were also a few little nods to the original setting of the late 80's and early 90's, such as Zack saying 'I can't believe anyone ever used this' about an old-style mobile phone which looks exactly like the one his TV counterpart used. I loved this new take on the characters and thought the transition to the modern day setting was done really well, managing to bring the story up to date without losing the spirit of what made the original series a success. The brightly coloured illustrations were very reminiscent of the sets and outfits found on the show, as well as in the iconic opening credits. Speaking of which, the pages separating the eight stories found within the graphic novel are each adorned with the Bayside Tigers logo upon a background that is taken from that famous opening sequence. Whilst it's pretty difficult for me to step back from being a fan and look at the graphic novel from the point of view of someone who isn't familiar with the show, I can still see it being enjoyable for today's teens. All in all this graphic novel is a quick and super fun read, and is certainly perfect for fans of the show. I hope we'll be seeing a volume 2 soon! 1/ Looking For Your Next Read? - we all have times where we're stuck for inspiration and can't decide what book to pick up next. 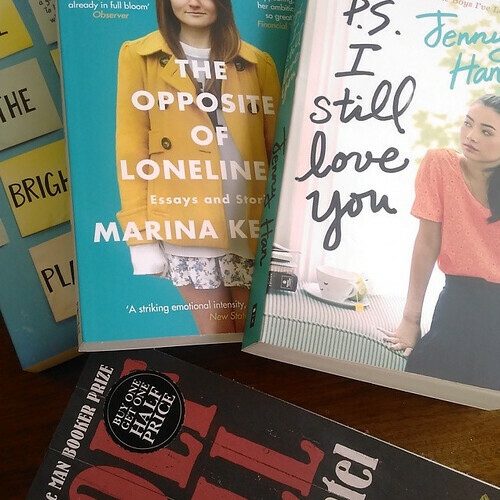 In her recent post Ali shared eight great ideas to help you find your next favourite read! 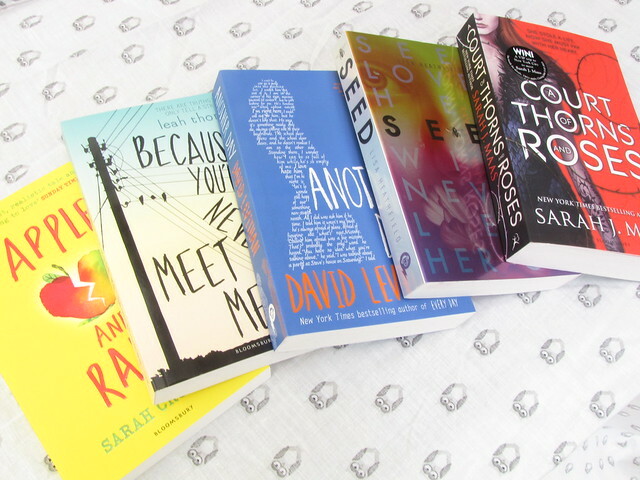 2/ Advice On ARCs - ARCs can be a tricky topic when it comes to book blogging, but luckily Rachel has some brilliant information and tips to get you started! 3/ Recommendations Gone Wrong - we've all been there... a friend, family member or co-worker raves about their favourite read and decides to lend you their beloved copy. They've made it sound like such an incredible read that you can't wait to dive in... but what happens if you hate it? Allie has some ideas on how to deal with this awkward situation! 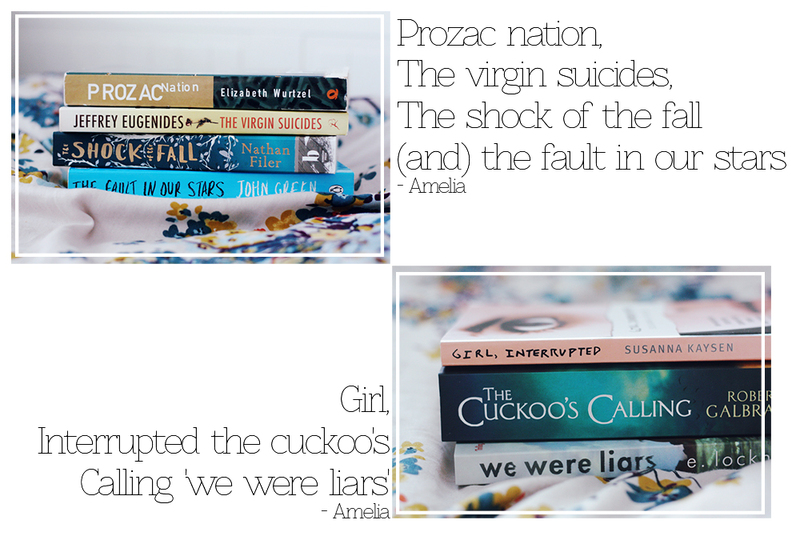 4/ Mental Health In YA - in this amazing post over at The Guardian a couple of our favourite book bloggers shared their own personal experiences and thoughts on how mental health issues are portrayed within the Young Adult genre. 5/ Just In Time For Halloween! - if you missed it back in July, now is the perfect time to catch up on Ben's video sharing some creepy book recommendations. We can't wait for Halloween - what will you be reading this October? 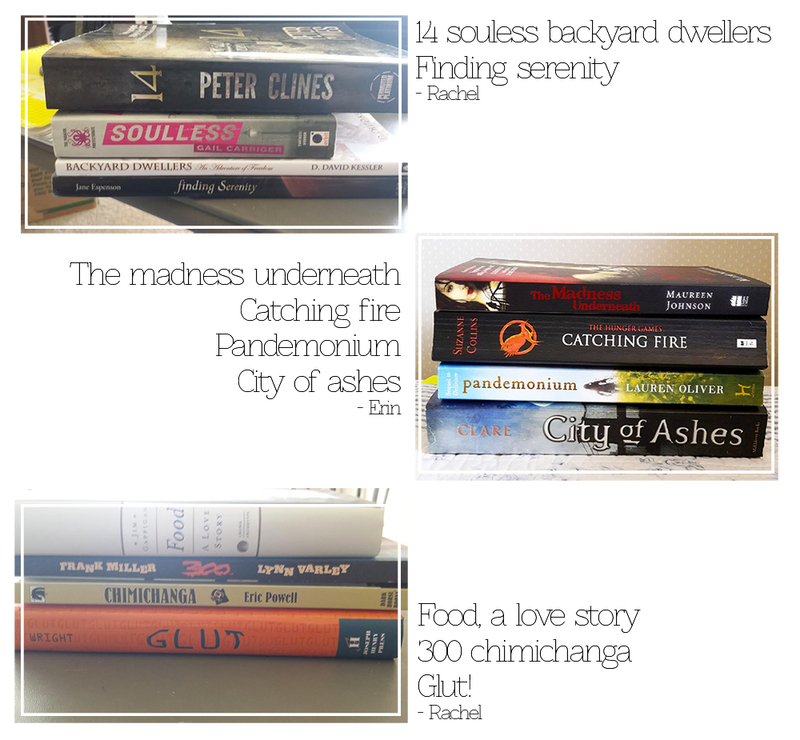 6/ All About The Flare - got Scorch Trials fever? If so, you'll love this post over on Buzzfeed which shares a WCKD video all about the Flare! If you've already seen the new movie, we'd love to hear your thoughts so don't forget to leave a comment! 7/ In Need Of A Little Inspiration? - in a recent post Mandy shared some of her favourite inspirational and self-help books. We're sure there will be something here to add to your TBR! 8/ The Beauty Of Books - BB's very own co-creator Ria recently shared some of the prettiest covers currently adorning her bookshelves. Don't forget to leave us a comment letting us know which book covers are your favourites! 9/ In Translation - what are your thoughts on reading translated books? We love this post on the subject over at Drizzle & Hurricane Books! 10/ A Sneak Peek Into The Routine Of A Blogger - here at BB we have a team of writers, each with their very own blogging routine. We all work differently and love hearing more about how other blogger's pen their posts. In this post Rita created a brilliant infographic to share her approach! Alexandra Gastone is an average teenager, she wants to get through high-school, get into Princeton and work for the CIA in order to serve her country. However, Alexandra isn't an average teenager because Alexandra is already dead, along with her parents in a car crash caused by a secret organisation called Perun. Perun trained and placed Milena in Alexandra's life, caused the real girls death and sent Milena to Alexandra's estranged grandfather's house to live a "normal" life. Whilst undercover as Alexandra, Milena must uncover secrets about her peers, use her "grandfather's" connections to get into the CIA and send private information back to Perun for them to use against the United States. For seven years, Milena has lived as Alexandra without a problem and her sleeper agent status hasn't been stirred. However, she has been asked to carry out a job that will end her life as she knows it. With the struggles of being a teenage girl and having to deal with friendships, boyfriends, school as well as her spy work and her allegiance to Perun - What will she do?! 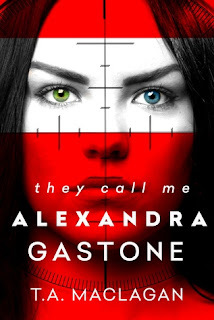 They Call Me Alexandra Gastone was an interesting book to read. 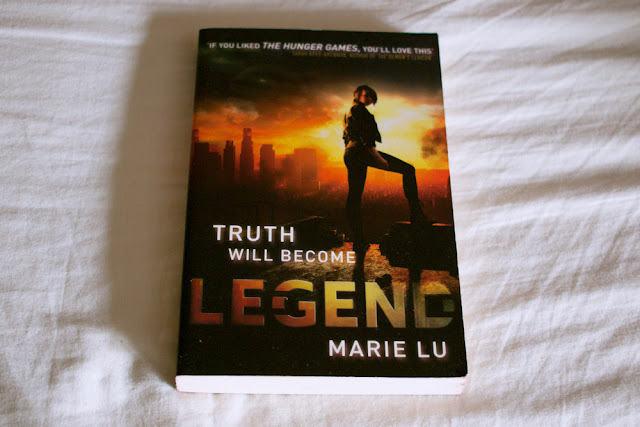 It was a cross between a spy thriller and a contemporary YA romance, with dystopian and politic aspects thrown in for good measure. I really liked the concept of this book and have found myself enjoying spy/undercover books a lot more lately - this one was quick to read and the plot wasn't too predictable. There were times when I knew what was coming and predicted the main "twist" from near the beginning, but in general it was just a fun book to read. The main character was slightly annoying, and I didn't feel connected to her at all. I liked the loyalty she felt towards her "grandfather", but other than that, I didn't feel any connection to her or the other characters. I would like to have felt more of a bond with the main character, especially since there was so much riding on what was going to happen within the story. The book did end on a slight cliffhanger, so I hope there will be a sequel as this would make a good first book in a spy-series. In general, I probably wouldn't recommend this book as it didn't blow me away or have anything special about it. It had a lot more potential that I just didn't feel it lived up to, but nonetheless it was a fun read and I whizzed through it quickly enough. *Image and ebook provided by NetGalley in exchange for an honest review. "Drawing on his experiences as a surgeon, ER specialist, and family physician, Francis blends stories from the clinic with episodes from medical history, philosophy, and literature to describe the body in sickness and in health, in living and in dying." The best way I can describe this book is that it is a medical sciences book for the humanities enthusiast, while also being a humanities book for the medical sciences enthusiast. Many of the procedures and anatomy depictions are saturated with medical terminology, but it is also has so much poetry and history. Francis does a great job of seamlessly interweaving history, literature, anthropology, and art with his own history of working in medicine. We get to hear stories about Francis' own patients* as well as his medical training and see how procedures have evolved from ancient times to medieval to renaissance to contemporary. Some depictions are rather graphic, so if you are squeamish, you may not like this book. But, for the most part, this book is about the poetry of human body and how ingrained various myths and facts about it have been ingrained in our society. 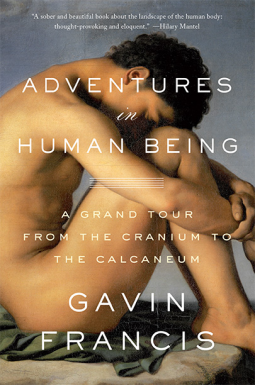 Adventures in Human Being is an engaging blend of autobiography, medical book, and humanities primer. I highly recommend this for everyone except the incredibly squeamish. *Names are changed, of course. BB: Hi Emma! For anyone who hasn't discovered The Beauty Of Literature yet could you tell us a little bit more about the girl behind the blog & vlog? Of course! My name is Emma, a Belgian girl who moved to London in January of 2014. I’m obsessed with books, reality TV and chai lattes from Costa. BB: Where does your passion for reading come from and what made you decide to start a blog & YouTube channel? My passion for books comes mostly from my parents. I grew up in a house filled with books with the motto “you can never have too many books” (though I feel my parents might regret that right now). I decided to start my blog last summer, because I was down with a knee injury. I couldn’t walk at all, so I read a lot and decided to share my love for the books I was reading with other people. I was looking for a great blog with long, in-depth, reviews of not just YA books, but also classics and couldn’t find that many - so I decided to start my own! I decided to Youtube, because I saw everyone else do it. I secretly always wanted to do it but was too scared to be in front of a camera - thankfully I lost that fear completely now. BB: We noticed that you are taking part in a 2015 Classics Challenge. Which classic read has been your favourite so far? This is slightly cheating, because it is my July/August classic, but Gone with the Wind. I absolutely adore it so far (I’m “only” 200 pages in) and I can’t imagine finding another classic I’ll fall in love with so much. BB: We also really enjoyed your vlog from Stoke Newington Literary Festival. What was your favourite part of the festival? Thank you! My favourite part of the festival was seeing the whole community of Stoke Newington coming together and loving books. I honestly met so many wonderful people that were incredibly helpful and eager to share their love for books. BB: We're always looking for book recommendations to share, which book or series do you think our readers should know about? This is hard! As mentioned before, definitely Gone with the Wind. I also adore the Percy Jackson series, which should be way more popular in the UK! If you want your heart broken by a book, I would suggest Only Ever Yours by Louise O’Neill or/and We Were Liars by E. Lockhart. 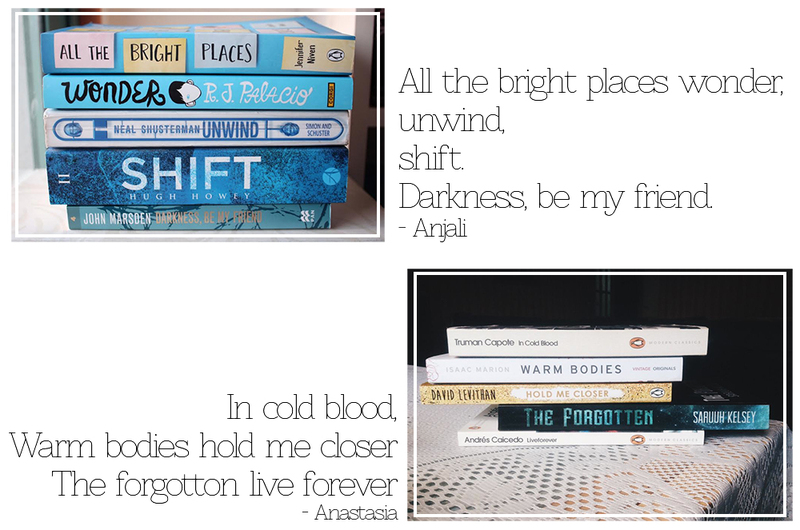 I haven’t been able to forget both those books ever since I’ve read them! BB: Just for fun, if you could host a dinner party for 5 fictional characters who would you invite? BB: Finally, we're always looking for new book blogs and YouTube channels to follow, do you have any favourites? I have loads! I particularly love booksandquills on YouTube, but it’s safe to assume everyone already follows her. I’m not good at finding new people on Youtube, so I’d love some suggestions. Other bloggers I like include (twitter names) @Lucythereader, @yayeahyeah, @book_magpie, @Chelleytoy,… I could go on and on! I'd like to say a huge thank you from all of us here at BB to Emma for taking part in this interview. If you are a booktuber or book blogger and would like to be featured in a similar post we'd love to hear from you - just email us at bloggersbookshelf@gmail.com for information! Sometimes you finish the first book in a series and you immediately feel like you need to read the next book and every book that comes after it. You need more of this world and these characters right now! Sometimes you don't. Sometimes you finish the first book in a series and you just know that you are probably never going to get around to those other books. You're never going to find out where this series goes and you're pretty okay with that. Today I'm going to share with you five series whose first books just didn't manage to convince me to keep reading. 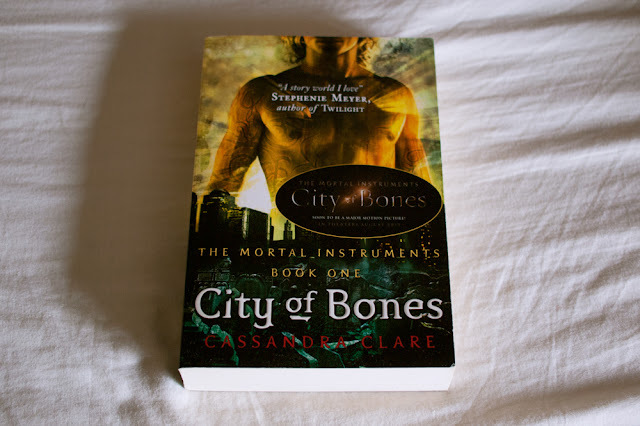 I thought the world of City of Bones was really interesting and unique. The writing, however, was a different story, and I just couldn't stand most of the characters. I so wanted to love this book but the pages and pages of info-dump and infuriating characters just made me furious by the time I got to the big ending. Of all the series on this list Divergent is the one I could probably most easily be convinced to try again but unless someone really wants to convince me, it's unlikely. 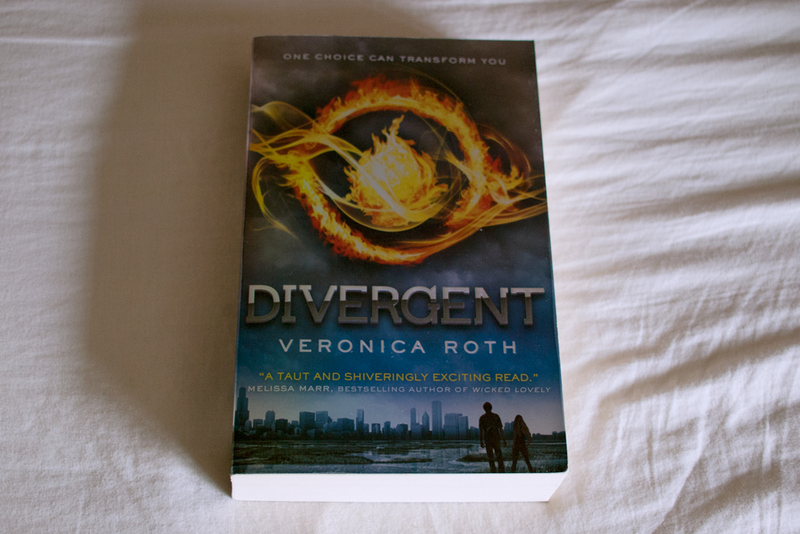 I enjoyed Divergent but I just didn't understand why this society is split in the way that it is. Many aspects of the story were believable but the very foundation of this world wasn't for me and it's a little bit difficult to get past that. Legend is actually a favourite of a very good friend of mine, so it's an excellent example of the fact that taste is subjective, because I couldn't stand it. I didn't like or empathise with any of the characters and I thought the main romance came out of absolutely nowhere. Although, since it is an adaptation of Les Miserables, maybe that's on purpose? Matched is another one that I thought I would love but, like many of the others already mentioned on this list, I didn't really believe the world and I didn't really like any of the main characters. Not understanding why the rules were in place and not feeling any real investment in the characters' lives meant that, unfortunately, I just didn't really care very much what happened. 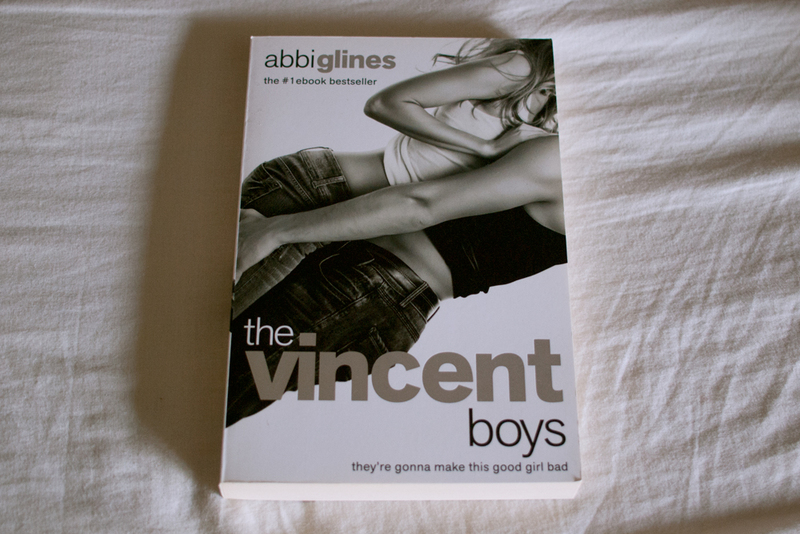 I actually won my copy of The Vincent Boys in a twitter competition and, admittedly, it's probably not something I would have picked up otherwise. I gave it a try though, with an open mind, and I certainly enjoyed it more than I expected. I can see why it's so popular but it's really just not my thing at all. It's always good to read things outside of your usual tastes but I think I can safely say I won't be picking up the following books in this series. So, what series are you just probably not going to finish? Did you feel the same about any of the series I've mentioned? Or are these all your favourite books and you think I have terrible taste now? Feel free to try and convince me to change my mind about any of them in the comments and definitely let me know which series you probably won't finish. "It's the accident season, the same time every year. Bones break, skin tears, bruises bloom." Each year just before Halloween Cara’s family shares the experience of the ‘accident season’ a time where as if cursed they all become more accident-prone, with a history of injuries and even fatalities. But is the accident season real or is something else going on in this family? 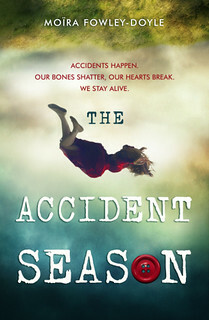 The Accident Season is a mysterious tale with an incredibly intriguing and unique premise. In a way the story isn’t really about the so-called ‘accident season’… but the less you know about the plot going into it, the better. The writing style is fairly heavy on the metaphors, with a haunting and at times chaotic feel to it as Fowley-Doyle manages to create a very eerie atmosphere. There’s also hints of both magic and the paranormal along the way, something I wouldn’t usually gravitate towards but feel worked within the context of the story. As far as characters go I struggled to feel invested in the majority without getting to know them a little better. One that did stand out to me as an interesting addition was Elsie, a mysterious girl who starts a secrets box at school and frighteningly appears in the background of all of Cara’s photographs. This tale of an unusual family is both original and haunting. It would be the perfect read to pick up in time for Halloween! 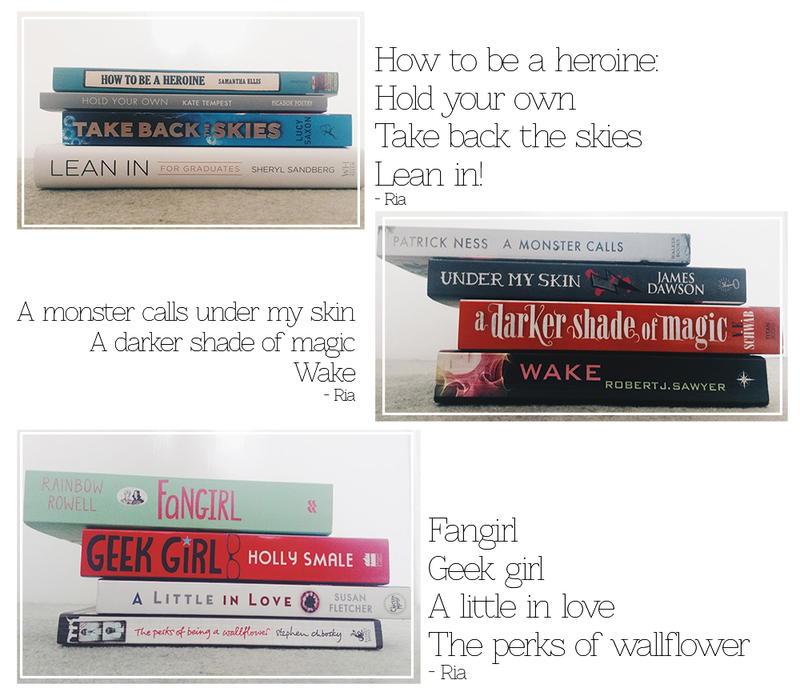 This month we've asked our bloggers to get creative with their books. 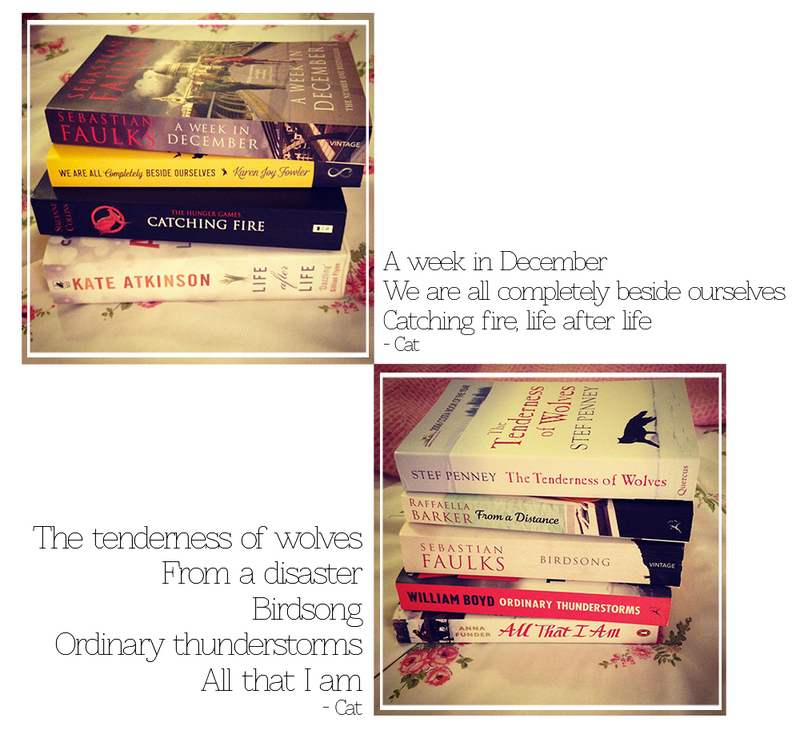 Inspired by our regular reviewer Anjali's Book Spine Poetry series on her blog, our contributors have created poems based on the spines of their books. Check out their creations below! Thanks to all of our bloggers for their fantastic poems and their photos! Next month we're gearing up for Halloween and want to know which literary characters you would dress up on the spookiest night of the year! If you'd like to get involved just email bloggersbookshelf@gmail.com or drop us a tweet @blog_bookshelf! "Marguerite Caine’s physicist parents are known for their radical scientific achievements. Their most astonishing invention: the Firebird, which allows users to jump into parallel universes, some vastly altered from our own. But when Marguerite’s father is murdered, the killer—her parent’s handsome and enigmatic assistant Paul—escapes into another dimension before the law can touch him. Marguerite can’t let the man who destroyed her family go free, and she races after Paul through different universes, where their lives entangle in increasingly familiar ways. With each encounter she begins to question Paul’s guilt—and her own heart. Soon she discovers the truth behind her father’s death is more sinister than she ever could have imagined." When it comes to multi dimensional stories, I haven't actually read that many, but I do know that it can either be great, or can be horrible. 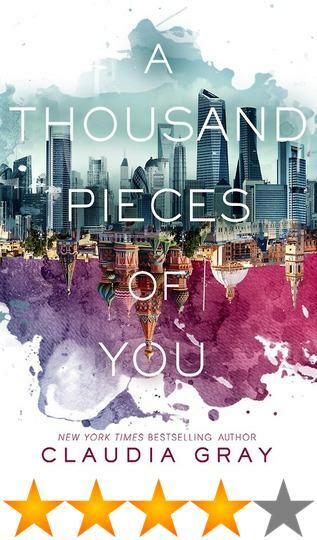 But I really enjoyed A Thousand Pieces of You, by Claudia Gray, and I think she did a great job. I really liked the characters in this book, even if they did chop and change a bit between dimensions. Marguerite as a main character was alright, and I didn't get too annoyed at her, which is an improvement on most main characters for me. You see a lot of sides of Paul throughout the story, or rather the versions of him (see? A tad confusing), but not so much of Marguerite or Theo, who journeys through the different dimensions with her. Written in first person from Marguerite's perspective, the story line is fast paced and flows easily from one dimension to the next. I did think they spent too much time in one dimension, where the others were short, sharp and sweet, but it definitely strengthened a relationship in the story. Overall, I did really enjoy this story, even if dimension-hopping isn't something I'm very used to. 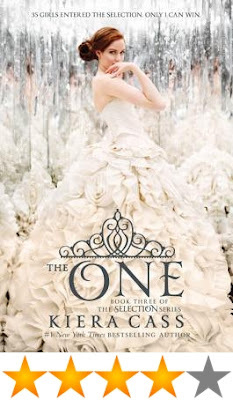 I will be reading the next book, and the third in trilogy, neither of which are out yet. I believe the second book, Ten Thousand Skies Above You, comes out in November this year. Also, can we just stop and appreciate the beautiful cover? Stunning. I love it. Have you read A Thousand Pieces of You? What did you think? I am currently in the extremely stressful process of writing a personal statement for university, which means I have to do a lot of reading around the subject I'm applying for (economics if anyone was wondering).Obviously since I want to study it at uni I enjoy it a lot, but that doesn't mean I wouldn't rather be reading fiction. Back to school means a lot of reading books that you wouldn't necessarily choose to read. It can be really hard to motivate yourself to do it. However, I have some useful tips for helping you to get through it! For me, this means reading on my half an hour bus journey to and from college, when there's nothing else I can really do anyway. If you have nothing else to do, you'll be less likely to stop reading and get distracted and you can make more progress. 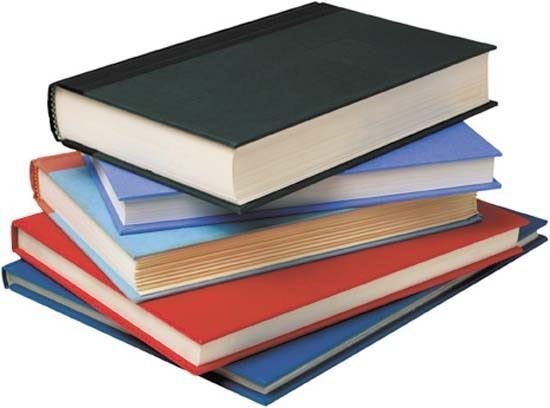 Set aside a length of time that you think you can concentrate for and read for that length of time then stop. If you tell yourself you are going to read for that amount of time then you will actually get a lot done instead of picking it up, reading a few pages and putting it down again. Kind of an obvious one, but worth mentioning. This is something I still struggle to get the hang of, but if you can skim read. Its saves so much time and chances are you didn't need to know everything anyway. If you only read the boring book, you might be reluctant to read at all, and then you could end up being stuck in a reading slump which can last ages. Reading a book you want to read breaks up the monotony. Have fun with any reading you do have to do! 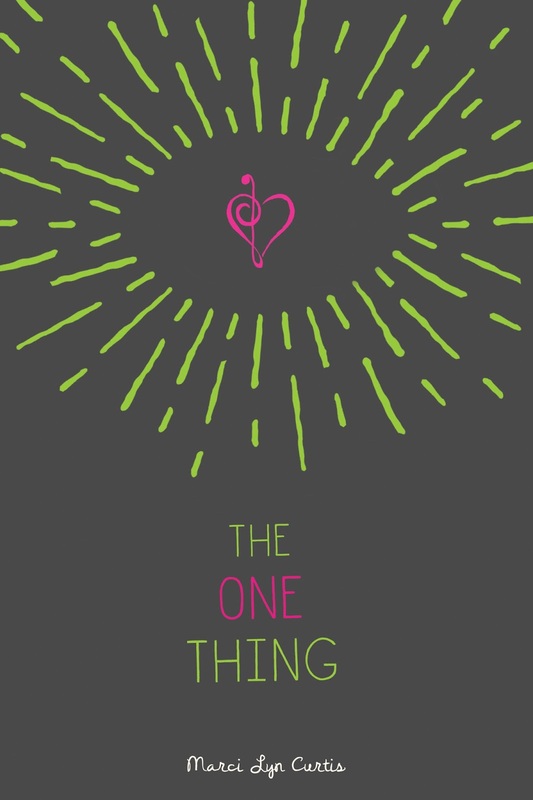 I went into The One Thing knowing nothing about the storyline and sometimes, that's the best way to go into a book since you have no preconceived notions about the genre, characters or potential plot twists. This book isn't necessarily one of the ones that you're better off going into blind, - although it was a pleasant experience for me nonetheless - so I will give a brief synopsis so you get a feel for the book. Maggie is blind. She lost her sight a few months ago after a serious case of meningitis and her life hasn't been the same since. After ditching her friends, having her whole house organised and covered in braille and learning to walk with a cane to get her from A to B - Maggie has pretty much given up on life. The one thing she won't accept, however, is pity and her sharp, strong-willed personality led her to carry out a prank on her school, resulting in Maggie having committed a criminal offence. Whilst in the office of her probation officer, she meets Ben, a bright, smiling ten-year-old who she can see. Amazed and confused by her sudden sight, she finds herself drawn to Ben and begins spending more and more time with him, as when he is not around, her sight disappears. 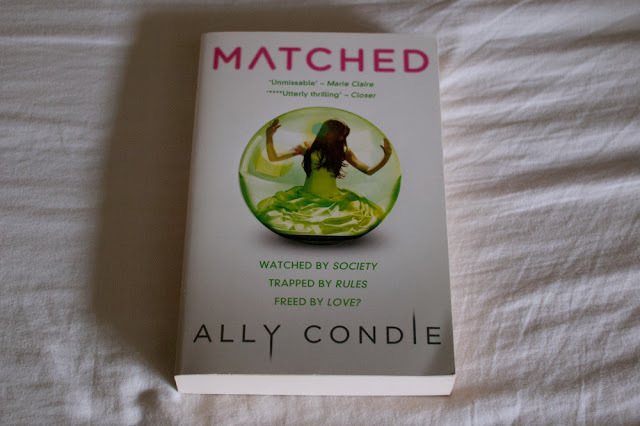 The One Thing is an emotional rollercoaster, that's for sure, but I really enjoyed reading it, despite a few YA novel cliche's dotted along the way. Firstly, the characters. I loved Maggie, Ben and Maggie's grandfather. The last two slightly more than Maggie. I found Maggie relatable, but slightly self-centred and whilst I understand this was a character flaw that the author had intended, it felt difficult to read at times. Ben was my absolute favourite character - represented by the "light" and sight that he brought into Maggie's world, he was just an adorable, genuinely good person and the kind of young boy I'd like my son to be. The friendship that blossomed between Ben and Maggie was enviable and it was so pure, it made my heart hurt to read about. Gramps was also one of my favourite characters, being so open and blunt from the beginning, his relationship with Maggie was lovely to see, although this did slow towards the end and we saw less of him, which was noticeable. Finally, I can't talk about characters without mentioning Ben's older brother Mason. I hated Mason's character at the beginning and grew to love him by the end - but he was a typical YA boy character in that he was stand-offish and didn't like Maggie, then by the end we had seen his softer, lovely side and grew to love him. Whilst this is a very overused character type in YA lit, I still enjoyed him as a character and found him pretty swoonworthy. In general, the Milton family were lovely to read about and whilst Maggie's family were dysfunctional and had their own issues, it was nice to read about Ben's family who were all kind and loving towards one other - it balanced out the two families. To say much more about the plot or the emotional rollercoaster of the last few chapters would spoil the story, so I will leave it by telling you that this book is a great read. It was entertaining, well-written and had lovable characters. 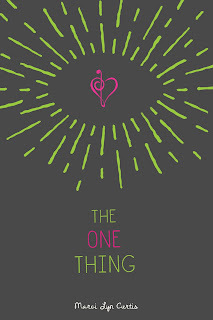 However, if you're tired of the typical YA cliche's, this one probably isn't for you. *I received a copy of this book from Netgalley in return for an honest review. 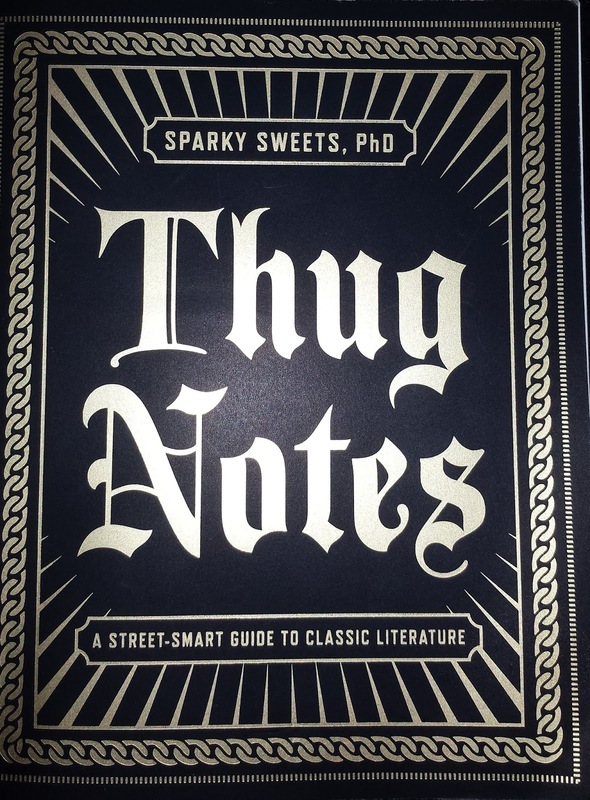 Thug Notes is a collection of summaries of classic literature, written in the common vernacular. It covers books like Pride and Prejudice, Fahrenheit 451, and A Raisin in the Sun. The summaries include not just summaries of the stories, but also summaries of the characters, themes and symbolism covered in each one. I first heard about this book because I am subscribed to the YouTube channel, Wisecrack Studios, which hosts a regular segment called Thug Notes, hosted by Sparky Sweets, PhD. * I found the show to be very entertaining in some of its silliness, but it was also very informative. One of the biggest comments on the channel is "I wish I'd had this in high school!" Of course, that's video. Presenting the same Thug style in written form is a bit more challenging. 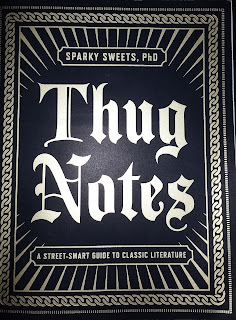 So, if you are struggling to understand some of the classics, or even if you greatly enjoy them, Thug Notes is a good read. It has sections that translate classic English to contemporary English. It has definitions of vital words and concepts. It makes learning about literature fun and easy. Word of warning, there is a LOT of cussing. It is not bleeped. It is not crossed out. So if you're squeamish about such things, it may not be the book for you. *The entire channel is a lot of fun, but the Thug Notes playlist can be found here. 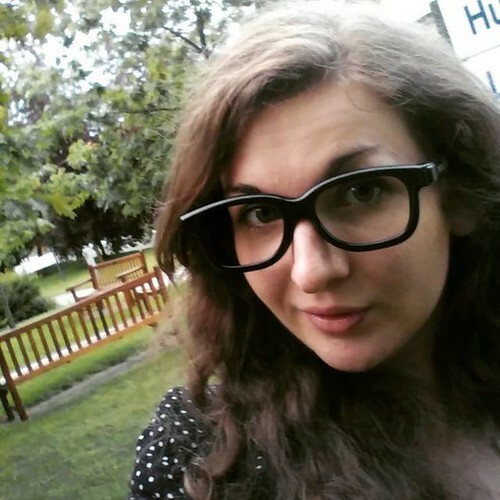 BB: Hi Emily, welcome to Blogger's Bookshelf! Could you tell us a little bit more about yourself and how you got started as a book blogger? 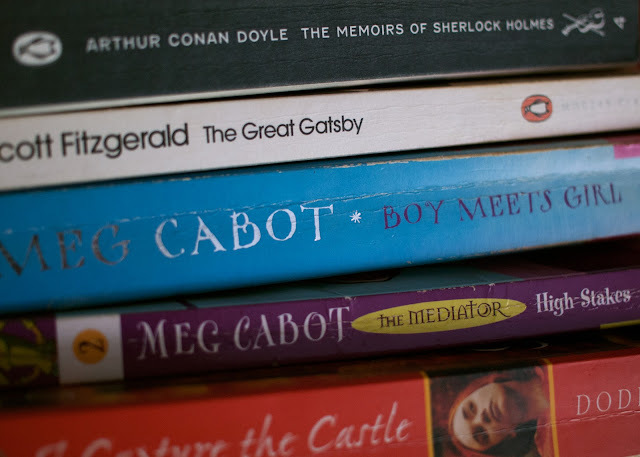 I'd always enjoyed reading book reviews and articles, but I was apprehensive about starting a book blog. Other bloggers I know read over 100 books a year, whereas I manage an average of 30 or 40. I feel like there's currently a real lack of reviewers out on the blogsphere writing about the sort of books I usually read, so I thought I might actually contribute to the book blogging scene rather than just repeat what other people were already writing. BB: As well as sharing your love for books through your blog Lady Of Letters you also have a YouTube channel. What made you want to start making videos? My path into YouTubing is a slightly strange one. I first got into YouTube as a place of original content (rather than just looking up, say, cat videos) through literary web series like The Lizzie Bennet Diaries and The Autobiography of Jane Eyre. I decided to make my own, inspired by Jane Austen's Sense and Sensibility (called Elinor and Marianne Take Barton), and whilst I was writing that, I watched other YouTube vloggers to help me get the style right. I then sort of stumbled upon BookTube and realised that these were my sort of people, and that I wanted to join in the conversation! BB: In a recent video you mentioned how much you love Historical Romance novels. Which 5 books or series would you recommend to anyone new to this genre? This is a dazzling romantic fantasy about the creation of a travelling circus, and a competition between two rival magicians (Celia and Marco) who end up falling in love. Morgenstern has the most unbelievable imagination, and the world of this enchanted Victorian circus is one that I never get tired of revisiting! Mary (sister of the infamous Anne Boleyn) is a naïve and unworldly girl when she arrives at court and catches the eye of Henry VIII. Soon she is competing with her sister for the ultimate prize of the king's heart, and his throne. The characters in this book are utterly compelling, and you can't help but get swept up in the story. To me, this book is one of the best historical novels because although you know what's going to happen (it's history we're all taught in schools, after all), the novel makes you see it from a fresh perspective. Downtrodden Valancy Stirling's romantic fantasies about living in a castle are her only escape from her cruel family. When she is diagnosed with a fatal heart condition with only a few months to live, she sets out for a fresh start, and meets an enigmatic man with a host of secrets. Written by the author of Anne of Green Gables, this is a sweet and funny proto-feminist story about the power of imagination and defying convention to find happiness. This is a fascinating novel which pulls back the curtain to give us glimpse of the mysterious world of the Japanese geisha. Chico is sold into servitude as an apprentice geisha and, even though it is forbidden, falls in love with a powerful business man. This novel transports the reader into a world that you very rarely see in books, with so much detail it's hard not to believe that it's a real story. Harriet flees her dreary existence in Cambridge to join an eccentric ballet company on tour to the Amazon, where she meets a wealthy British expatriate. This is a very old-fashioned story, and it's a bit dated in places (particularly the heroine, who is very much the naïve damsel in distress), but it's also charming and beautifully written. I always fall in love with the story's optimism, which is something we need in our cynical times. BB: You also talk film and TV; which book that has not yet been adapted would you love to be brought to life on screen? Who would you love to see in the main role/s? I'd love to see an adaptation of Angela Carter's beautifully macabre short story, The Bloody Chamber. A poor pianist catches the eye of a wealthy French aristocrat, and he sweeps her off to his remote gothic mansion. He gives her a key to his private apartments with the instructions never to go in there. Naturally, she does, and discovers that her husband has concealed a rather awful secret about his previous marriages. The Bloody Chamber would make a fantastic film because Carter creates immensely vivid images when she writes, which would translate beautifully to screen. It's the perfect antidote to the Fifty Shades of Grey-style romance novel about the innocent girl caught up with the wealthy but troubled older man. The Bloody Chamber unflinchingly explores the reality of being dependant on a man with dark addictions which you can't fully understand. I'd cast Alicia Vikander as the heroine, because I was really impressed by her performances in Testament of Youth and A Royal Affair, and she has the acting chops to make the part really stand out. For her aristocratic husband, I think Toby Stephens could bring the dark, brooding Byronic hero which he was so good as with Mr Rochester in Jane Eyre. There's also a young, blind servant who falls hopelessly in love with the heroine, and I think Josh Hutcherson would be adorable in that part. BB: If you had to pick your top reads of the year so far which books would make the cut? My first favourite of the year was actually a book I was re-reading for one of my university modules, Hedda Gabler by Henrik Ibsen. Hedda is bored by her stultifying bourgeoisie marriage, so she tries to manipulate everyone around her for her own goals. This is my favourite play, and I've unfortunately never been able to see a production of it (though I did act in one once - I was Hedda, obviously), so reading it is the next best thing. Hedda has been described as 'the female Hamlet' and it's easy to see why. She's a fascinating character; by turns defiant, destructive, passionate and frightened. As I've just graduated this summer, I decided to read The Opposite of Loneliness by Marina Keegan. This is a collection of short stories and non-fiction essays published after Marina Keegan's death (she was killed in a car accident five days after graduating from Yale). It's a feisty, inspirational collection which really makes you want to get out there and change the world. The Paris Wife by Paula McClain is a novel that I've been intending to read for ages, and finally got the chance after I finished exams. It's the story of Hadley, who falls passionately in love with the writer Ernest Hemmingway. I'm a sucker for stories about tortured artists and doomed love stories, and I can never resist a novel set in the Roaring Twenties or glamourous European cities. BB: Just for fun, if you could swap lives for the day with any fictional character who would it be and why? This is a hard one, because I think most of the time fictional characters actually lead pretty miserable existences which are much more fun to read about than to experience first-hand. I would love to be Daenerys Targarean (from A Game of Thrones by George RR Martin) so that I could try out being queen. Only for a day, though, or I think the power would go to my head. BB: Finally, we're always looking for new book blogs to read and YouTube channels to watch, do you have any favourites? I do! 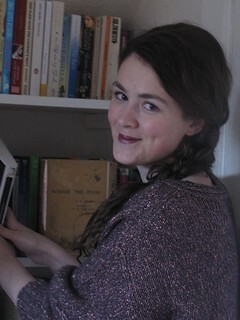 One of the first BookTubers I discovered is still one of my favourites - Sanne at Books and Quills. She's so creative with her videos, and I love how she incorporates travel and interviews into her channel. I also really like Lauren at Reads and Daydreams. We have pretty similar taste in books, so whenever I watch her monthly wrap-ups, I end up adding about 10 books to my To Be Read pile. I also love reading Khahn's reviews at The Book Nookery because she has the most hilarious, snarky style. She's very critical and I don't always agree with her opinions but they're always entertaining to read. I'd like to say a huge thank you from all of us here at BB to Emily for taking part in this interview. If you are a booktuber or book blogger and would like to be featured in a similar post we'd love to hear from you - just email us at bloggersbookshelf@gmail.com for information! I'll admit, I'm the kind of person who likes to keep their books looking as pristine as the day they were bought. I perfected the art of reading in the bath without getting the book wet a long time ago, I try my hardest never to break the spine, and I never ever fold down the corner of a page or write in the margins. In the rest of my life I'm kind of a messy person. I constantly leave clothes hanging from the back of my desk chair and most of my handbags are lined with old receipts, but when it comes to books I'm kind of a neat freak. I ordered a secondhand copy of The Memoirs of Sherlock Holmes recently and when it arrived I couldn't help but cringe a little at the obvious creases of the broken spine and the way that the front cover flips open just a little bit too easily. At first these struck me as signs of a book that hadn't been taken care of properly, but then I remembered the stories behind some of the broken spines on my own shelves and I reconsidered a little. Maybe I need to start thinking of these little blemishes as signs that a book has been well loved, instead. There are plenty of examples of these signs in my own bookcase. The Great Gatsby's broken spine from forcing it open while I copied quotations for a university essay; the crinkled, dyed orange edges of The Mediator: High Stakes's pages where a friend's water bottle leaked in her school bag and mixed with the pigment of a loose pen while she was borrowing it; and the little indentations on the edges of the last 100 or so pages of Harry Potter and the Deathly Hallows where all of my emotions manifested in tears and my fingers gripping so hard that the papers' edges will always be a little wavy on the saddest and most intense pages. These are all my own stories and now they're a part of those books, which is pretty cool. But if I ever lend you a book, please use a bookmark. And if I catch you writing in the margins, I'll be revoking your library privileges. I may be able to look on the bright side of broken spines and crinkled pages, but that doesn't mean I won't keep doing my best to avoid them. Once a book neat freak, always a book neat freak. What about you? Do you try not to break the spines, or are you a total maverick, writing in margins and folding page corners all over town? If you're the second I salute you and secretly wish I could be more like you. If you're the first, let's swap tips on how to keep our books neat and tidy. The rapture has come and gone, and all that's left of Vivian Apple's parents are two holes in the roof. Vivian never thought the evangelical Church of America were serious when they said the 'divine and good' will get taken up to heaven. She also never thought she'd be left and abandoned by her converted 'Believer' parents either. But here she is embarking on a road trip across America with her best friend Harp and Peter, a boy who claims to know where the Church may be keeping Believers. But the world outside is different now. In the wake of Rapture left behind Church goers are more violently evangelical than before and strange new groups of 'orphans' are forming on the foundations of creating a better world. 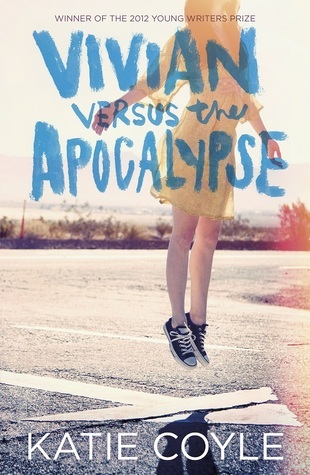 The Rapture was thought to signal end for many, but the impending Apocolypse is just the beginning for Vivian Apple. In the myriad of dystopian novels 'Vivian versus...' offers an uncomfortably close depiction of what could happen should the Rapture happen in our current society. Unlike other utopian or dystopian novels there's no futuristic tech or zombie outbreak. The danger is a human race which feels as if they have been abandoned by what they believed would save them, and there's nothing more vulnerable or unpredictable than a human race that feels betrayed. The scariest thing is that the type of cult-ish behaviour that is typified by the Church of America in the book has happened before and there's some interesting social commentary about organised religion and more specifically Christianity (which is rarely explored in such an open and non-derogatory way). In regards to our protagonist nothing feels particularly special about Vivian, in a way it's as thought her generic descriptors in the book are there to allow the reader to fill ourselves into her shoes. What would we do if were essentially orphaned at the end of the world? That being said though Vivian's bravery and increasingly hard exterior does come from her situation, it's her drive and personality to find the rational truth that spurs her. One thing I loved about the book was the contrast between Vivian and Harp, and it was their relationship that soon became my favourite thing in the story. Both girls go through the wringer and they have their share of arguments, but through it all it's their friendship that stands firm. In contrast Viv and Peter's journey did feel fairly predictable but I did appreciate that their relationship wasn't too forcibly shoved down our throats, as it seems to happen in many YA novels like this. If there's one more thing I could've asked from the book it would've been to delve more into the range of belief systems around America post-rapture. We get glimpses in the form of the 'New Orphan', Vivian's grandparents and her old History teacher, but it would've been nice to see more. Overall, I thought Vivian versus the Apocalypse was a great take on the apocalypse genre and I can't wait to read more from Coyle. For lovers of...How I Live Now, Seeking a Friend for the End of the World, and the Delirium series. Here at BB we really discovered the awesome website How Long To Read which is helping bibliophiles everywhere figure out how many books they can read each month! The website is a sort of personalised calculator which can tell you how many hours it will take for you to read a particular book. All you need to do is type the name of your proposed read/s into the website and search their catalogue. 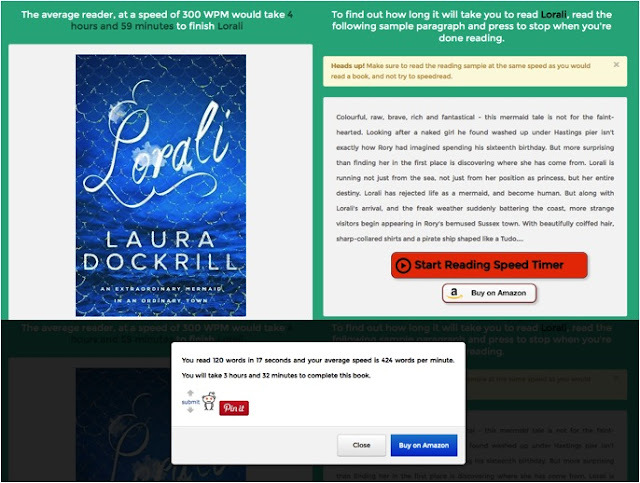 Once you've found the page for the book you'll see that it lists the average reading time for that particular title, but you can also get a better idea of how long it will take you to read by reading a sample paragraph whilst using their timer. The sample text is usually the blurb for the book and as long as you read through it at your normal speed you should end up with, hopefully, a pretty accurate calculation of how long it will take you to read the whole novel! Have you tried out How Long To Read yet?